In order to celebrate the eighth Custom Week, build a strong artisticatmosphere on campus and the international style of our department, we had the customweek from 17th to 29th Dec, 2015 with six themes:Chinese, English debate, Dumpling making, reading. Life, costume exhibition andEnglish calligraphy contest. For the English debate, we had players coming from thefreshman and sophomore students of the senior high school. The English debatetopic is: which is more beneficial in cultivating the talent, adversity orprosperity? And Chinese debate topic is: does cultivation of everyday habit depend on self-disciplineor heteronomy? Following opening statement of impassioned affirmative side and rationalNegative side, the competition came into really fierce stage. 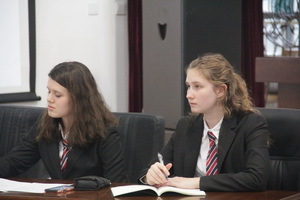 The heateddispute, penetrating wording and clear mind of players made a deep impressionon both judges and the audiences. 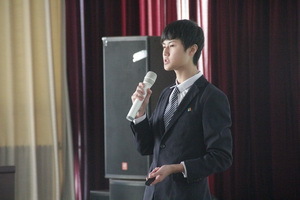 Eventually, Shitao Chen and Ryan, TianrunZhang and Zhaowen Zhang won the best debater in English debate and Chinese debaterespectively. 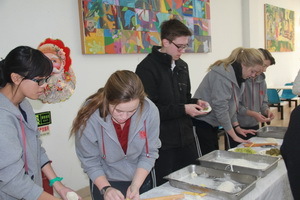 On the second day of the custom week, we had both theteachers and students participating the dumpling wrapping. I was really coldthat day, but it was warm and full of fun and laugh inside the dining room. Althoughthe dumplings some are far from perfect, it shows cooperation, friendship andour love for each other. The whole International Department was filled withhappiness that day. The newt was national costume show. 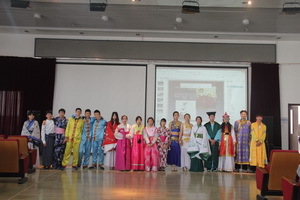 Ethnic costumesare colorful and of a vast variety, which includes Dai clothing, Mongoliangowns, Hanfu, hanbok, kimono, Troy (Burma) and other species. Students had funexperiencing different aesthetic styles, while promoted the integration ofinternational culture and art, enhancing emotional bonding of different nationalities. Then came the English calligraphy competition. The students wereenthusiastic about this competition, the writings were carefully and neatlydone, some were written exceptionally well. Afterwards, all works were rankedby judges and commended according to the standard. The final theme was booking reading held on December28. The share was carefully introduced, the listener were positivelyinteractive with the speaker. This activity broadened the students' thinkingand perception, exercised the ability of writing and expression, and created a learningatmosphere. We had great success on this Custom week, and it endedon 29th of Dec. 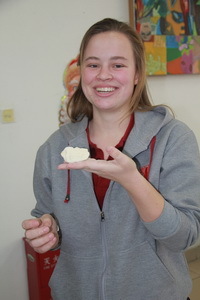 This event enriched student's extracurricular activityand had everybody involved according to their interest. Besides, mutualunderstanding was enhanced, friendship was deepened, learning interest wasstimulated, and the international students’ strength, attractiveness and spiritwere fully shown on stage. 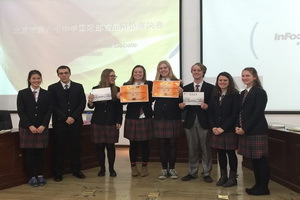 The international department of Beijing No.80 high schooldemonstrated that she is a harmonious family with pluralistic coexistence andcharacteristics.